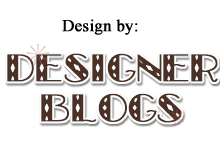 Years ago when I first started cloth diapering and was researching how to wash my cloth diapers, I kept running into this detergent called Charlie's Soap over and over again in the cloth diaper community. At the time, I decided not to purchase any of it as what I was using was working. Since then, I've learned that their detergent isn't just for cloth diapers. Instead it can be used for clothes or diapers, and they also have an all purpose cleaner! Since I was feeling pretty satisfied with my cloth diaper detergent still, I decided to use this instead on my clothes. Now if you remember, I have used and still use a natural cleaner on my clothes. However, my one problem was still having stains. When Charlie's Soap sent along a stain remover, I decided to put it to the test on some of the girl's stained shirts. Oh how I wish I would have taken before and after pictures. I had stains that had been on there for quite sometime that never had come out with even Era, yet the Charlie's Soap took it out in the first wash. My only wish is that it didn't smell like Windex. It is chemical free, but somehow has a bit of a Windex smell to it. The detergent itself on our clothes worked wonderfully and I can definitely see myself in the future buying more! I love that it is safe, non toxic, and biodegradable. 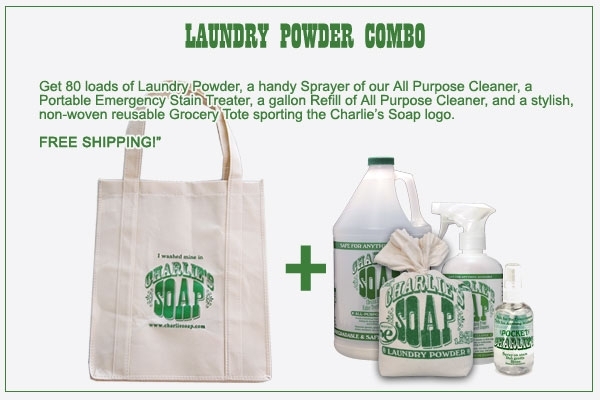 Charlie's Soap has generously offered one of my readers a grocery tote, a 17 ounce bottle of all purpose, and some laundry powder. Please note the picture above may or may not be an accurate representation of what you will receive. Winner will be chosen at random from random.org. Winner has 24 hours from being contacted to respond, or else a new winner will be chosen. Am a facebook friend of J&T - Andrea L.
I learned: Over the years, through word-of-mouth and lots of scratching, the original Charlie's Soap, the new laundry liquid, and the newer laundry powder have found their way around the globe and they continue to amaze those who try them. Charlies Soap recommends cleaning your washer before use by running an initial load. This is because of the additives used by other detergents that leave a residue on everything. 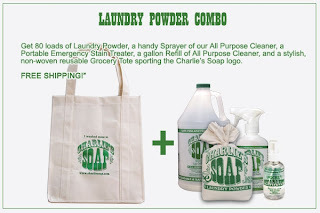 Liked Charlies on FB as Judith B.
I learned that Charlie's Soap is effective as a carpet cleaner. That's really neat - I love a multi-purpose product! I "like" Charlie's Soap on Facebook. Each 1 gallon jug washes 128 full size loads!! Wow! I learned that a bag of Charlie's Laundry Powder can wash up to 80 loads of laundry and you use just a tablespoon of powder to do the wash at a cost of just pennies per load! Needs only 1 Tbsp per large washload! Talk about saving money! I learned that they determine results of the washing power based off of the light reflectance difference!